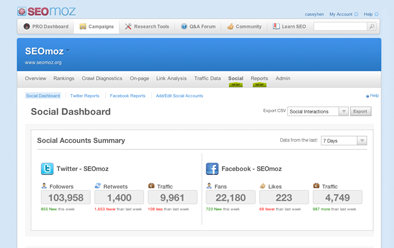 SEOmoz PRO combines SEO management, social media monitoring, actionable recommendations, and so much more in one easy-to-use platform. Try it free for 30 days. 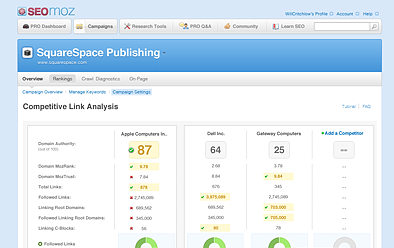 Analyze links and track key performance metrics in an efficient all-in-one dashboard. Identify critical SEO issues and get actionable recommendations. Automatically monitor changes to your rankings and take control of your organic traffic. 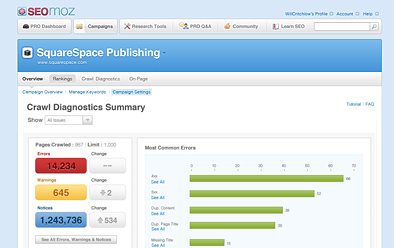 "SEOmoz tools provide best of class data. 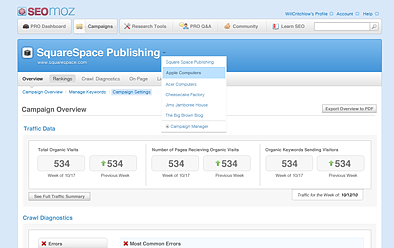 Their tools are a must-have for marketers looking to optimize their organic search results." "SEOmoz has enabled us to scale our link-building process quickly without compromising on quality." In late December of 2011, HTML5 cheat sheets, which we originally created for WebDesignLedger (WDL), were shared by Google on their Google Developers profile. WDL has 74k+ Twitter followers. Google Developers has 65k+ users in their circles. Together, their promotion increased our referral traffic for that day by 300%. Since then, we’ve experienced a steady stream of traffic and incoming back links. This was definitely a link bait win for us. 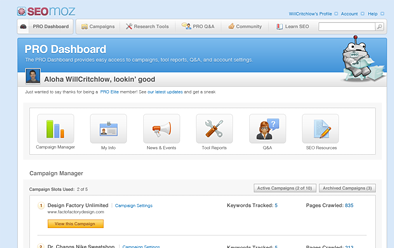 Voted Best SEO Tool 2010! SEOmoz doesn't provide consulting, but our friends at Distilled still do. Rock on! Copyright © 1996-2012 SEOmoz. All Rights Reserved.